This fragrance has a delightful warm and comforting smell. With top notes of Bergamot, Lemon Peels and Green Daylilies, this fragrance is brought back to its roots with a base of Ginger, Nutmeg and Warm Musk. White floral notes, such as Hyacinth, Freesia and Peony complete the mix. The rich, creamy lather of this all natural soap pampers your skin leaving it soft and silky. Made with olive oil, coconut oil, palm oil, cocoa butter, castor oil and fragrance oil. 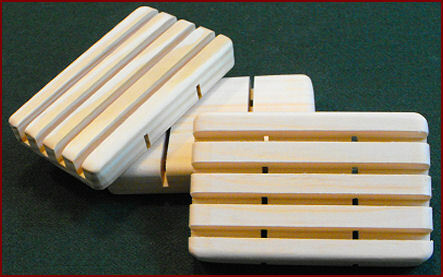 A soap deck is a great way to store your handmade soap, click here for info.